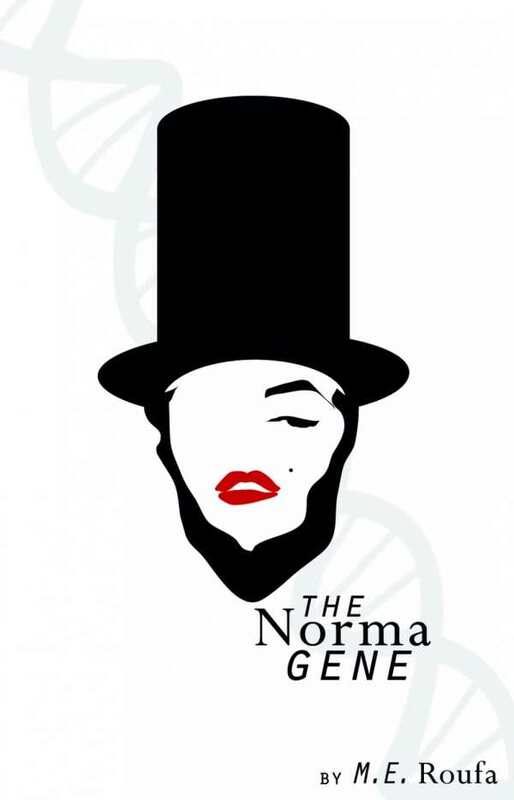 Set some time in an undisclosed future, The Norma Gene embraces the possibilities, both grave and absurd, of human cloning and all its potential consequences and complications. History, biology, genetics, and the curious twists of fate and chance encounters bring Norma Jeane Greenberg and Abraham Lincoln Finkelstein together in a madcap adventure that contemplates some of life’s greatest puzzles—from nature vs. nurture and the ethics of human cloning to the mystery of the elusive sock ever missing from the dryer. The Norma Gene, by M. E. Roufa, is a fun mix of earnest soul searching and quirky social commentary, guaranteed to alter popular perceptions of founding fathers, tragic starlets, and the happiest place on earth. In a time when in vitro human cloning is commonplace, Abe, an exact DNA match of America’s 16th president, is an anomaly. His patriotic and idealistic parents ignored the laws prohibiting “the cloning of dictators, presidents, and other ‘crucial’ historical figures,” and Abe, an American-history teacher in Orlando, Florida, is still coming to terms with his lofty (and illegal) genetic makeup. Meanwhile, across town, Norma, a perfume-counter girl at Lord & Taylor’s, is one of many (perfectly legal) Marilyn Monroe copies and a new member of Normalyn, or Marilyns Anonymous, a support group for Marilyn clones. Both are muddling through life when a designer evening gown, a serendipitous crash, and the Emancipation Proclamation kick off a series of events leading them on an unparalleled adventure. Hitting a lighthearted note despite some thoughtful ruminations, the combination of both results in a tale that feels less like science fiction and more like a true life adventure, albeit complete with a pretentious restaurant serving only dishes made from the once extinct dodo, a Segway chase through Orlando’s largest theme park, and a top-secret government facility intent on extracting memories by any means necessary.